INTEREST FREE LAYAWAY, as low as $ 29.22/ mo. Details. 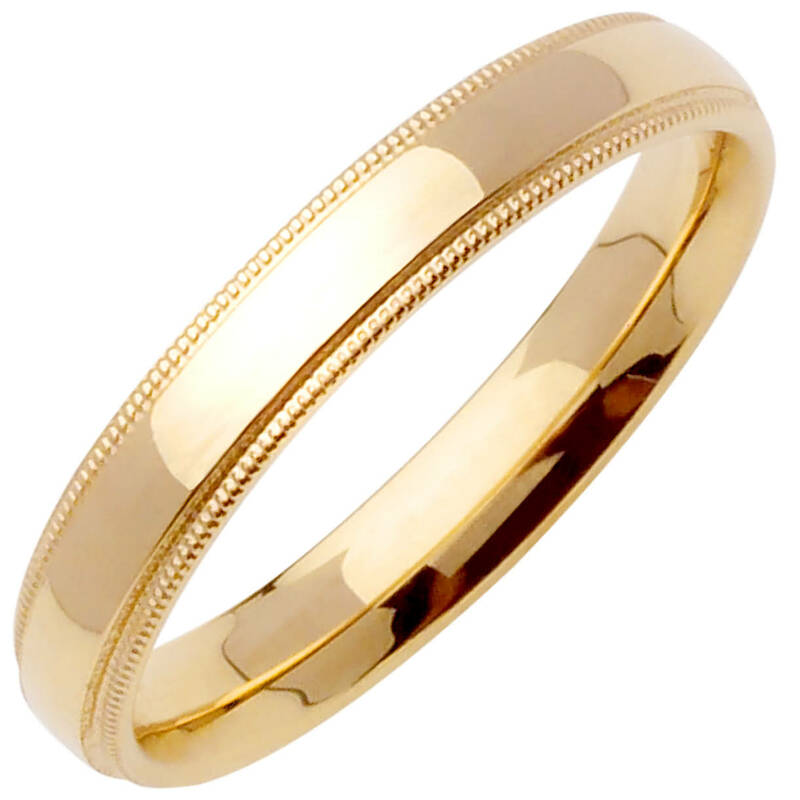 An elegant classic design wedding band that is 4mm wide. A traditional style in solid 14k gold metal, this ring contains 58.5% pure gold based from its weight and has a 14K stamp inside the ring. Manufactured in the U.S.A. , using the die-struck process for better durability and minimal porosity. This ring can be resize from size 1/2 size bigger by a professional jeweller, but fees may apply. Please be adviced that any third party modification done on the ring will void its warranty. The actual color of the product may vary slightly from what is shown in your computer or tablet. Emails us for a free ring sizer. Comments: This is a very good ring. I love simple designs and this is exactly what I was looking for in a ring. Not to mention the very affordable price. I have no doubt that I will definitely purchase another one soon.